E26/B/5024 - Volts: 120V, Certifications: UL, Length: 104 ft. Product prices and availability are accurate as of 2019-04-03 05:58:21 EDT and are subject to change. Any price and availability information displayed on http://www.amazon.com/ at the time of purchase will apply to the purchase of this product. 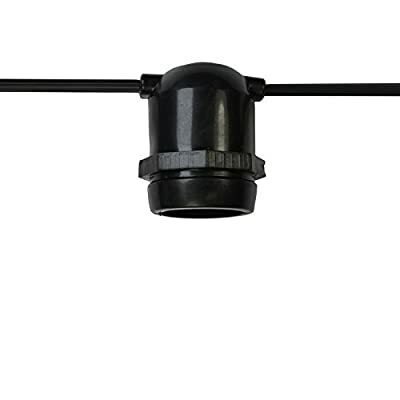 Voltage: 120V, Certifications: UL, Length: 104 ft., Base Type: E26 Medium Base Socket, Features: Molded Stringer and Sockets --- We combine shipping for multiple items! - In other words each additional item ships for free *applies to most items* - This includes similarly sized, separate SKUs; combined into one flat rate priced package. Simply add all your items to your cart and begin the checkout to see the combined shipping cost.